With the popularity of Blu-ray discs and HD movies, more and more movie fans turn to Blu-ray users. Besides expansive and stupid hardware Blu-ray player, there are also some Blu-ray player software apps to play Blu-ray on PC. This post will share 5 best Blu-ray player software for PC users to select the best software to play Blu-ray on PC. These 5 best Blu-ray player software apps come with different features. You could choose the best Blu-ray player to play purchased Blu-ray discs on PC freely. Part 2: How to Choose an Ideal Blu-ray Player for PC? With the popularity of Blu-ray discs and HD movies, more and more movie fans turn to Blu-ray users. Besides expansive and stupid hardware Blu-ray player, there are also some Blu-ray player software apps to play Blu-ray on PC. Then, what is Blu-ray really? Why has it been welcomed so much? Simply speaking, Blu-ray is a format of DVD designed for the storage of high-definition video and data. Introduced to consumers in 2006, Blu-ray is commonly known as HD-DVD which was being designed to replace the DVD standard in the U.S. and world market. The term “Blu-ray” refers to the “blue (violet color) laser” which is used to read the disc focused on a smaller area. Compared to DVD, Blu-ray can read information recorded in pits that are less than half the size of those on DVD. The storage of Blu-ray discs varies depending the kind of Blu-ray disc such as BD25 and BD50. In order to present the best movie experience, asides from the excellent Blu-ray resources, you have to prepare a powerful Blu-ray software player on PC. Different from the physical Blu-ray player guide, you have to turn your focus to other aspects while trying to get a new Blu-ray software player on PC. What are the factors you should consider before choosing an ideal Blu-ray player for PC? Supported input digital formats. Spending some money on a piece of Blu-ray disc software for PC, you have to be clear about the operating system this PC Blu-ray player software is compatible with. Make sure the player you are going to buy is compatible with the operating system you are running now. Operating system compatibility. Spending some money on a piece of Blu-ray disc software for PC, you have to be clear about the operating system this PC Blu-ray player software is compatible with. Make sure the player you are going to buy is compatible with the operating system you are running now. 4K videos support. Due to the widespread of Ultra HD 4K videos, sometimes you may obtain some 4K video resources. With 4K feature, you could freely play 4K movies on your Blu-ray player. Disc decryption. Some Blu-ray discs are encrypted with regional code so that they can’t be played on the player which doesn’t have the disc decryption technology. Keep this in mind and you will not be confused on how to remove disc region code. Taking the above factors into consideration, what are the best computer Bu-ray player program recently? Next, I will list the 5 best Blu-ray player software for PC. As one of the best Blu-ray player software available for music and movie lovers, DVDFab has been popular for years. This program could support a wide range of video formats, including 4K, UHD, HEVE, DVD, Blu-ray, ISO image files and so on. Also, if you want to enjoy a Blu-ray player with menu support, then it can meet your requirement because it offers you the navigation menu type support for Blu-ray videos. It has various interface choices for you and you can change multiple sets of designed skins freely. However, DVDFab is limited in supporting 3D video format and it lacks the customized features. Another Window Blu-ray player with menu support will be introduced is Corel WinDVD. 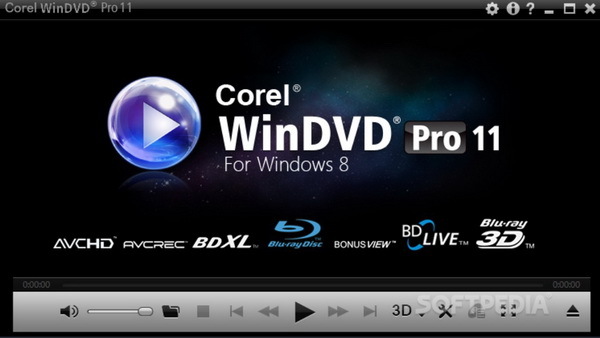 Corel WinDVD is another Blu-ray player to support Blu-ray 3D, AVCHD and DVD. This is a piece of simple-to-use Blu-ray player which only supports FLV, MKV and MP4. Also it has menu support. If you are a primary user, then Core WinDVD will be a good choice due to its simple interface and functions. Besides, the software doesn’t support some of the lesser-known disc types, such as VCD and SVCD and so on. As a free media player, VLC is quite comprehensive in supporting all kinds of digital formats. 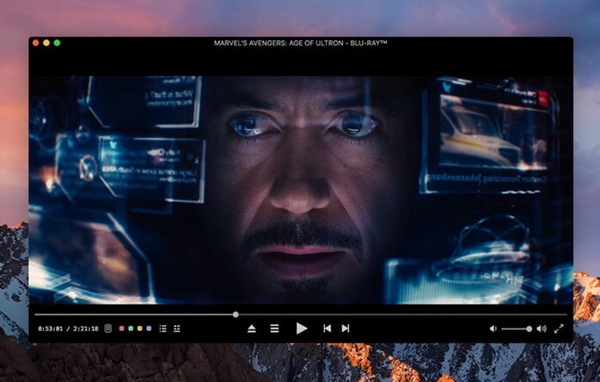 It is an open-source player that can allow you to play Blu-ray discs or other digital videos on your computer immediately. Also, it can allow you to stream these videos from the Web. 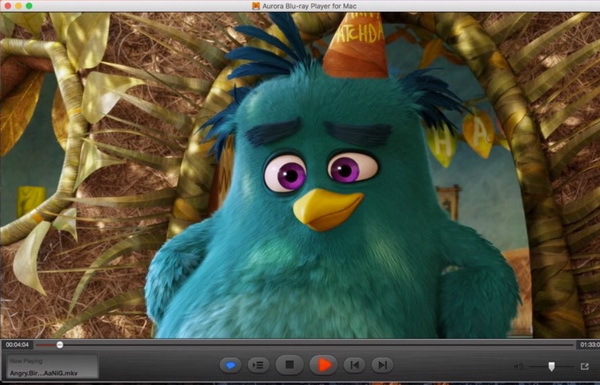 As a stable Blu-ray player, VLC can totally meet your basic requirement in playing videos. If you would like to set more parameters about your video, then it is a bit hard to get you there. 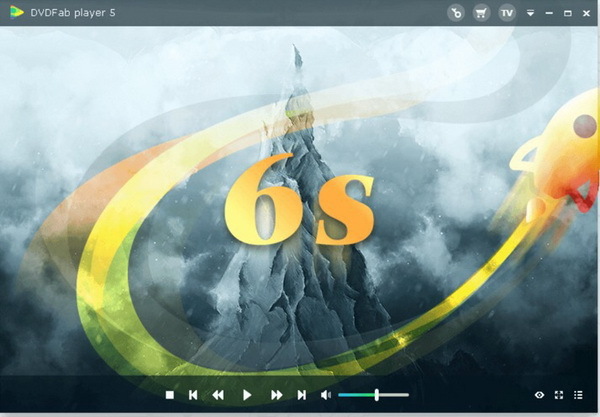 In the fourth place, VSO Media Player can be your another option. This is a free media player for PC. This is designed especially for Blu-ray discs and files, which could also be able to play AVI, MPG and other formats videos as well as common DVDs. It is quite smooth and slick during the playing process. You can play the Blu-ray files with ease and accuracy with it. If your computer is running on OS system, just be patient, the following part will lead you to the best computer Blu-ray player software for Mac. 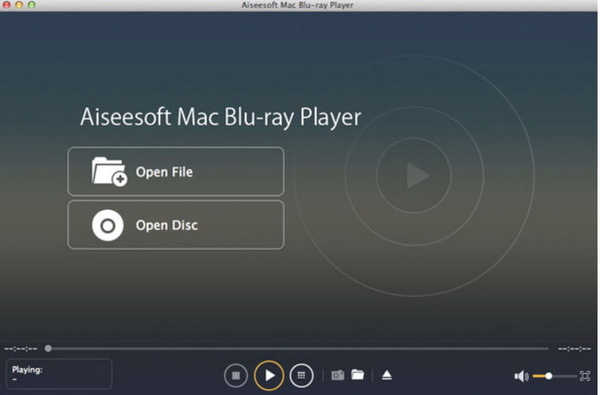 As the top of the list for the best Blu-ray Player software for PC Mac, Aissesoft Blu-ray Player will be introduced here due to its powerful function in playing Blu-ray videos. As a paid PC Blu-ray software player, this player has user-friendly interface and can play Blu-ray discs with menu support. Besides, it can also be able to play common DVDs, UHD 4K, and other kinds of digital formats. But it is a bit expensive whose price is up to $45. Secondly, Aurora Blu-ray Media Player also deserves your trial. As a convenient video player which supports a lot of video formats, including Blu-ray, DVD and all kinds of digital formats, Aurora is able to provide you with the excellent video playing experience with its professional video processing technology. It is also chargeable which is retailing at $39.95. If you are going to take a try on the unregistered version, then the videos will be added a watermark. 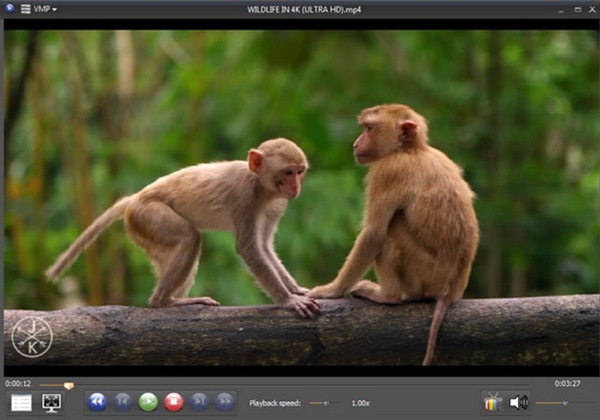 MacGo Blu-ray Player is another powerful Blu-ray player on PC software for Mac. This player is specifically designed for playing BD discs and other digital video and audio files. It can retain the original video quality for you with the adoption of professional video processing technology. It also supports importing external subtitles as well as DTS 5.1, Dolby TrueHD Audio without any quality loss. Now you are accessible to two versions: MacGo Blu-ray Player standard and pro. For the standard version, you will be only allowed to play Blu-ray movies without any Blu-ray menu support. Next, another popular Blu-ray player should be PowerDVD. As one of the best chargeable media player, PowerDVD can provide you with straightforward solutions to the Blu-ray discs and all kinds of digital formats. It can handle HDR TVs and 4K with clear video quality retained. Thanks to the TrueTheater support, users can use this player to obtain an impressive video quality with ease. Especially, if you enjoy watching 3D movies, it can take you to the virtual world easily. But it is quite expensive. 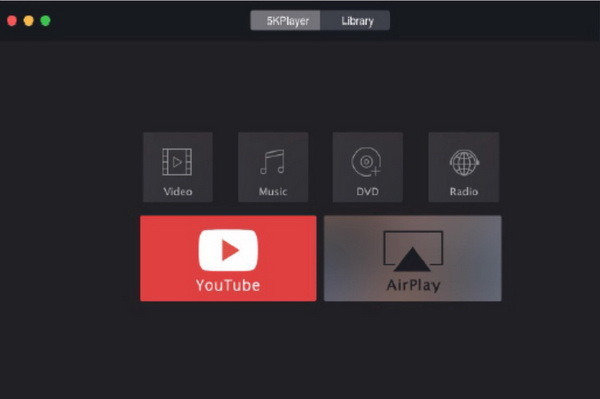 If you are looking for a more professional media player, then you should not miss 5K Player. Providing Hollywood style watching experience at home, 5K Player can support DVD, Blu-ray as well as other common videos. It is able to offer 4K video support and allow users to enhance color whole stabilizing videos. While processing with HD videos, it is also very smooth. But if you only require the basic Blu-ray playing function, maybe this player will be a bit complicated to you. Among the best computer Blu-ray Players for Windows and Mac, which one is your favorite? This depends on your own needs. Furthermore, in order to give a more comprehensive solution of playing Blu-ray discs, I will introduce Leawo Blu-ray Player for your further references. As a professional and all-inclusive Blu-ray player which is both compatible with Windows and Mac, Leawo Blu-ray Player is able to play Blu-ray discs, DVDs and all types of digital videos with fast speed and customized features. As one of the best Blu-ray/DVD players for Windows and Mac , Leawo Blu-ray Player contains all media playback solutions you need for your leisure entertainment, including DVD, Blu-ray, CD, HD (4K), ISO file with AVI, MPEG, WMV, ASF, FLV, MKV/MKA and other popular formats supported. With advanced image and audio processing technology, Leawo Free Blu-ray Player software could provide you with quality-lossless image for even 4K video, stereo audio enjoyment, all regions free DVD decryption and user-oriented playback control. Besides, Leawo Blu-ray Player’s practical bonus features including useful power manager, custom skin /language/background, snap screenshots, especially virtual remote controller make it a better choice for all playback choice. Furthermore, within Leawo Blu-ray Player, you could obtain the personalized settings according to your preference and all the settings could be done automatically. The most important is that Leawo Blu-ray Player is 100% totally free. You can enjoy the cinema-like movie experience with a powerful Blu-ray player without money. 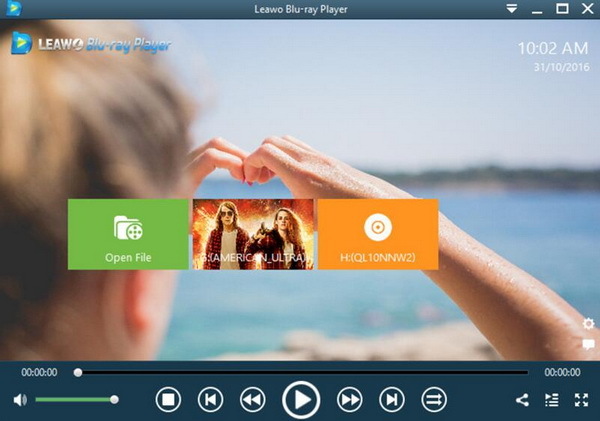 According the basic review of the best PC Blu-ray player software, it is clear that Leawo Blu-ray Player is quite outstanding in its functions, customized features, advanced video processing technology. More importantly, it is totally free. You can take it a try without any hesitation. It is really worth trying.